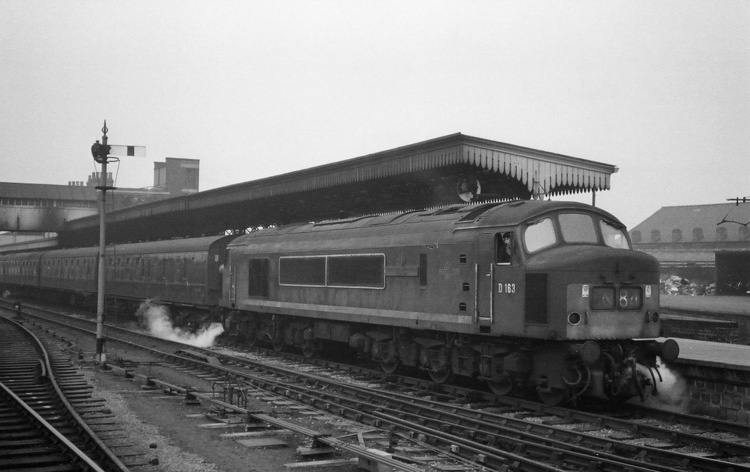 The named Class 46 'Peak' class diesel No.D163 'Leicestershire and Derbyshire Yeomanry' is at the head of train '1N84 (13:40 from Bristol to York) on Saturday 30th January 1965. The locomotive was allocated to Derby shed (16C). The train departed Worcester at 15:07. 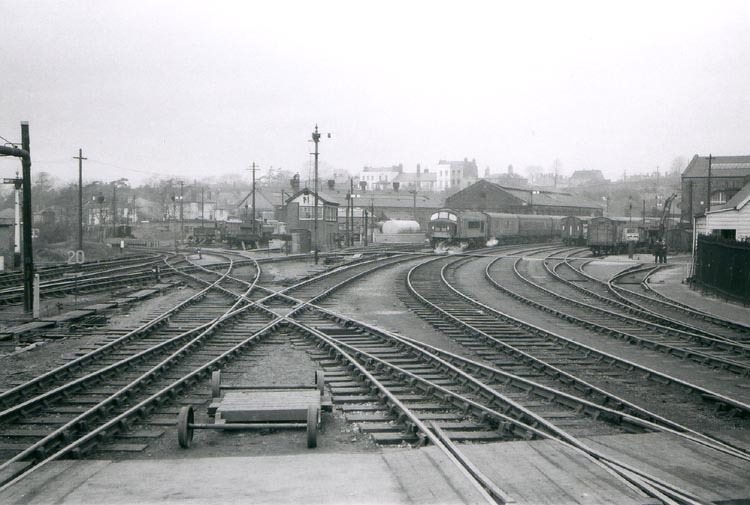 Another superb image taken from the platforms at Worcester Shrub Hill Station looking towards the engine sheds. The photograph was taken on 12/2/1965 and shows a former GWR Pannier Tank on the sheds and 'Peak' class 45 locomotive No.D158. The train carries the headcode for the 10:28 from Sheffield to Bristol which was a train that ran non-stop from Birmingham to Cheltenham. 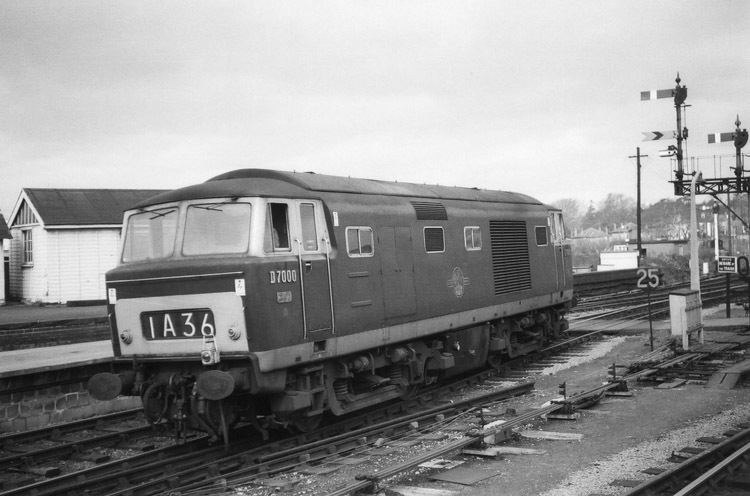 On 27th March 1965 the first Hymek class 35 diesel No.D7000 of Bristol Bath Road shed (82A) was seen. If the headcode is to be believed the locomotive has just come off the Hereford portion of 10:05 to Paddington and is returning to Worcester shed.